Yoshiaki started his career with SystemSoft Corp in 1988 where he was responsible for product management for Adobe Illustrator and Photoshop for SGI. After 7 years of honing his craft, he founded Pencil, an R&D-oriented web consulting firm, in 1995. 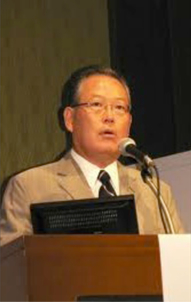 His clients includes Megmilk Snow Brand, Kagome, Rinnai, All Nippon Airways, VeriSign Japan and Toyota Caelum. In 2013, he had a 3-month internship with an web agency in San Francisco, providing business consulting to them as a mentor at the same time. 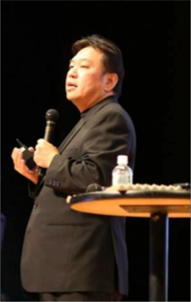 Yoshiaki has spoken at numerous seminars across the country to a total audience of over 19,000 to date. Prior to becoming Honorary Chairman of Google Japan in 2009, Norio Murakami was Vice President of Google Inc. and President of Google Japan. After leaving Google, he founded Murakami Norio Office. 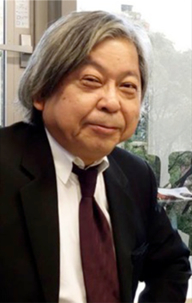 Executive research fellow / professor at International University of Japan (GLOCOM), Special guest professor of Keio University and Osaka Institute of Technology, and Advisor of Aizu University. He has written numerous books including “Murakami Simple English Learning Method” (Diamond Inc.). Norio is from Oita prefecture, and he graduated from Kyoto University with a B.S. in Engineering. Kan joined Sony Corporation in 1979, where he produced more than 100 of visual softwares and high vision programs. He launched the very first "Internet Division" in Japan, and directed the operation of more than 6,000 Sony Group websites internationally. He has organized many public awareness campaigns for better internet utilization, and educated major Japanese companies which drove growth of the Internet in Japan. In 2013, he founded Transpirit Corporation. Kan is from Fukuoka Prefecture, and he graduated from Kyushu University (former Kyushu Institute of Design). 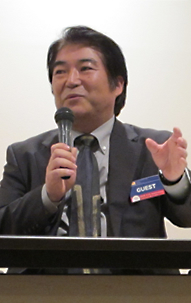 Masahiro founded SystemSoft Corp. in 1983. He is known as the driving force behind the spread of Macintosh culture in Japan as he served as an advisor for Apple Japan R&D team in their early stage and launched Apple Center. He developed the Japanese version of Adobe Illustrator, Photoshop, QuarkXPress, MacroMind, Claris and FileMaker, and was the exclusive distributor for them. He started to develop 3DCG software “SHADE” in 1981 and launched it in 1986. He later founded ExpressionTools Inc., and expanded SHADE sales. Masahiro is from Fukuoka Prefecture, and he attended Tokyo University of Science. All rights reserved.© Pencil Inc.